Look who is in the lead now! There’s still time for these rankings to change! 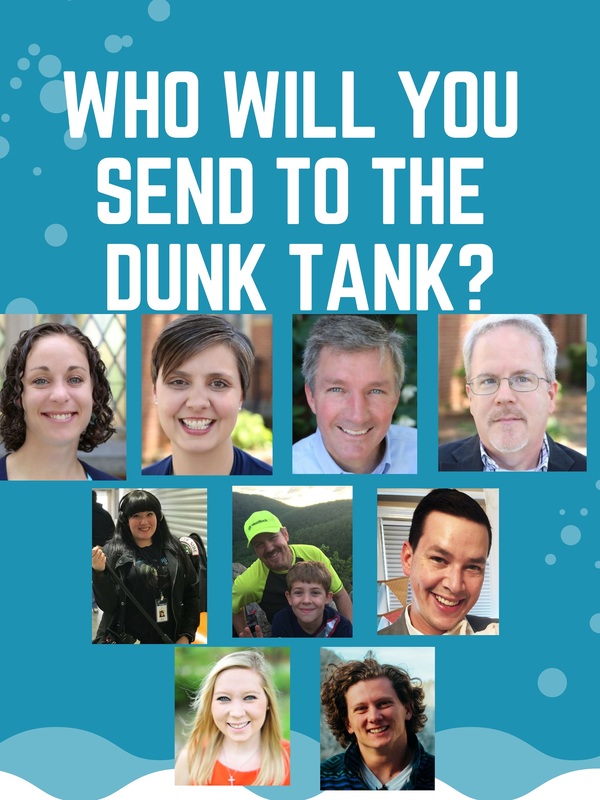 The top 3-4 will be headed into the dunk booth at the annual Youth BBQ Fundraiser for summer trips on May 5th. Giving that determines who will sit in the dunk booth will be open through May 4th. All donations support our youth summer mission trips! Donate here to ensure that your favorite candidate get’s a soaking reminder of the baptism on May 5th!